Dr. Brown combines a life-long love of athletics with his chosen profession for a natural specialization in Chiropractic sports medicine. He is a former high school athlete who first became interested in chiropractic when it offered him great relief for a low back injury suffered in football. Dr. Brown graduated from Palmer College of Chiropractic West in 1990. Postgraduate studies led to the title of Certified Chiropractic Sports Practitioner (CCSP) and Certified Kinesio Taping Practitioner (CKTP). He has advanced certification in whiplash injury biomechanics and traumatology. He has a special interest in functional nutritional medicine and gluten intolerance. In addition to his intellectual pursuits, Dr. Brown has excelled in many other areas. He obtained USCF Cat. 2 road status in bicycle racing subsequently continuing to race masters for a number of years. He continues to ride road and mountain bikes, hike and backpack, lift weights and golf. He loves to read and enjoys his family. Dr. Brown’s chiropractic sports medicine involves a number of sports including NFL and arena football, CBA basketball, professional rodeo, elite bicycle racers, triathletes and collegiate and high school athletes. Dr. Mathews attended Parker University in Dallas, Texas where he received a Doctor of Chiropractic degree and two Bachelor of Science degrees, in Human Anatomy and Health & Wellness. In addition to treating the spine, Dr. Mathews has a special interest in extremity problems, ranging from shoulder pain to plantar fasciitis. He is equipped with skills in extraspinal adjusting, instrument assisted soft tissue mobilization (IASTM), as well as Kinesio Taping applications. 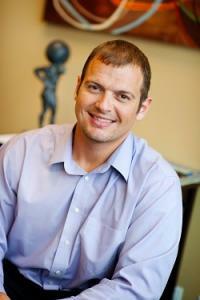 Dr. Mathews also has a love for athletics that has influenced his chiropractic career. He has treated many professional athletes from sports including arena football, hockey and major league baseball. In addition, he has received special training treating auto collision injuries from the Spine Research Institute of San Diego. Dr. Mathews enjoys spending his free time golfing, coaching track & field, and being with his wife and three daughters who are avid barrel racers. Dr. Mathews is also fluent in Spanish. Dr. Howell is a Tri-Cities native, growing up in the small town of Burbank. He graduated from Columbia High School in 1998. He was an avid basketball player and played football as well. After high school he attended Columbia Basin College and then Eastern Washington University. While in the Exercise Science program at EWU he made the decision to become a Chiropractor. 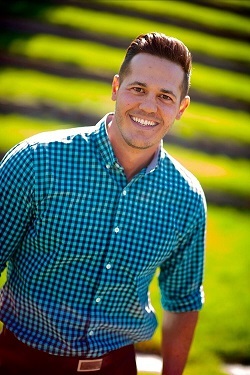 Dr. Howell attended Parker College of Chiropractic and graduated in January of 2010. While at Parker Dr. Howell spent his last semester in Bogota, Colombia working with the Colombian Olympic Athletes as they trained at the Olympic training center. Dr. Howell was also a treating provider at the 2013 Central East Regional Qualifier, 2013 Crossfit Games and the 2014 South Central Regional Qualifier. In addition to the professional Crossfit Athletes, Dr. Howell has experience treating athletes in the NFL, IFL, NHL, WHL and NCAA. Dr. Howell is one of the only providers certified in the Fascial Distortion Model here in the Northwest. Through the Fascial Distortion Model he is able to find the cause of pain and fix it fast. Here is a brief explanation of FDM. The fascial distortion model (FDM) is an anatomical perspective in which the under lying etiology of virtually every musculoskeletal injury (and many neurological and medical conditions as well) is considered to be compromised of one or more of six specific pathological alterations of the body's connective tissues (fascial bands, ligaments, tendons, retinacula, etc.). This model not only allows for strikingly effective manipulation treatments for diverse afflictions such as pulled muscles and frozen shoulders, but the results are objective, obvious, measurable and immediate. For more information please click on www.fascialdistortion.com. In Dr. Howell's free time he enjoys Crossfit, kayak fishing, snowboarding, camping, and most of all spending time with his family.